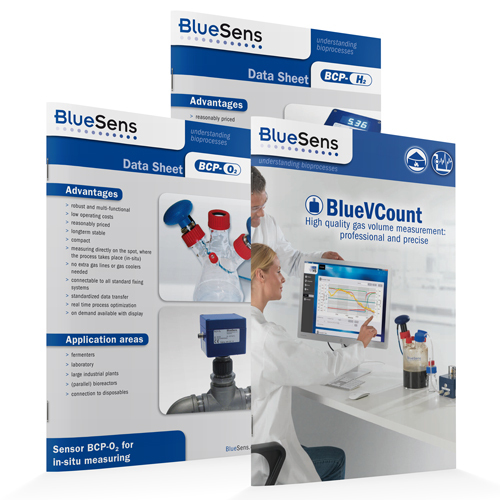 BlueVCount measures gas volumes in reactions of all kind. 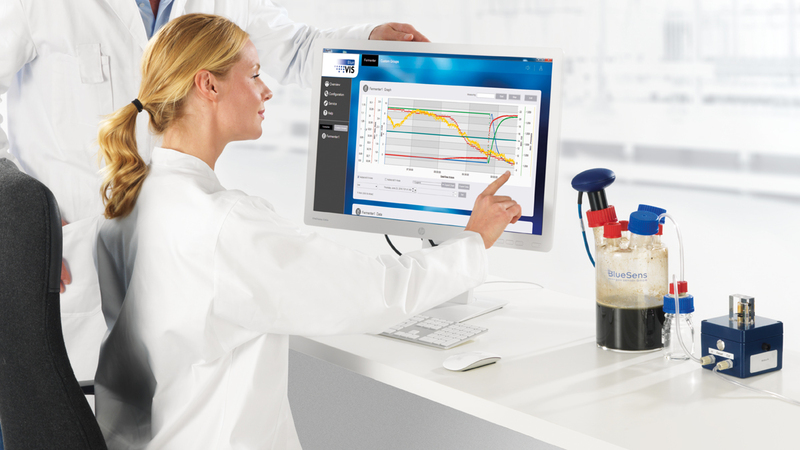 It is applicable for fermentations, degradation studies, substrate comparison studies, wastewater treatment, bioethanol or hydrogen production and is especially helpful in bio methane potential (BMP) determinations in industry and academia. 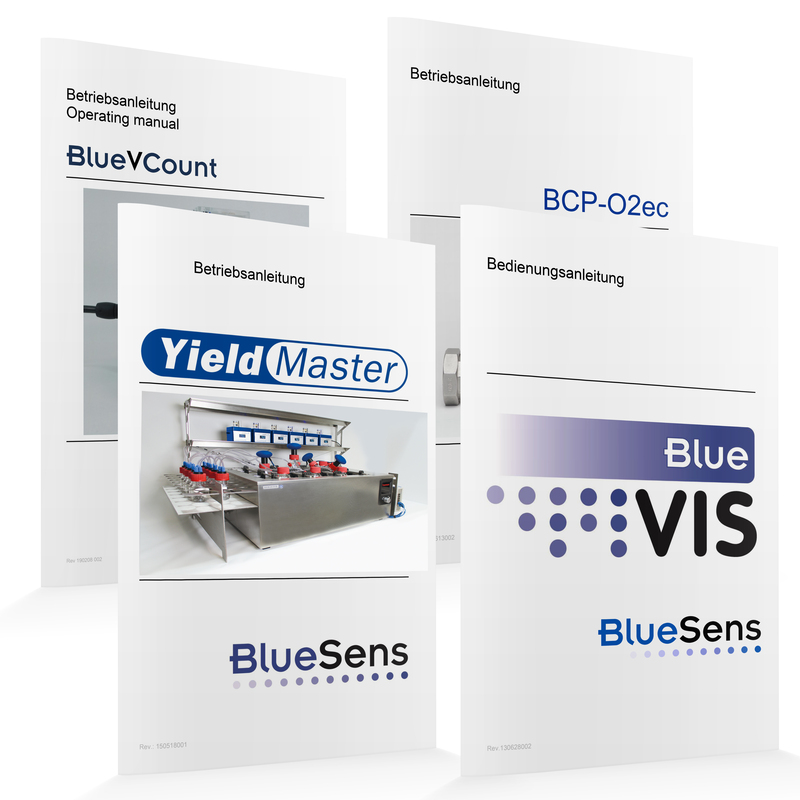 Gas volume measurement delivers important information about the process and helps to optimize yields and process procedures. 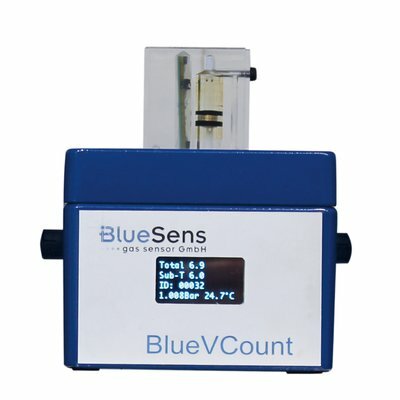 BlueVCount is a volume measuring unit with a 1 ml cylinder that is equipped with an oil (special) sealed magnetic piston. 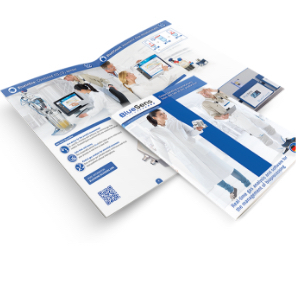 It counts how often 1 ml gas comes through the cylinder and reports it to the integrated display or via Modbus RTU to a software (e.g. BlueVIS). To achieve this you do not need a minimum flow.